Dog Signs or Signs For Dogs help owners make the public aware that a dog is on the premises. 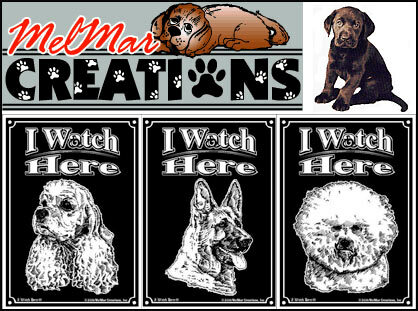 Dog Warning Signs, Fun Dog Signs, or just a sign to show the neighbors that you love your dog are all in this category. Signs for Dog Owners are both fun and functional. Be sure to find the right sign for your dog here.